(a) If the test fails using finger pressure, remove the gage and perform the test again as follows: With the muzzle down, stack 8 1/2 to 8 3/4 pounds of trigger weights (1 1) on a locally fabricated spacer/weight (12) on the bolt carrier assembly (9). Insert headspace gage (10) and test per above instructions. (b) Remove trigger weights (11), spacer/weight (1 2), bolt carrier assembly (9), charging handle (8), and headspace gage (10). (c) If excessive headspace, first replace bolt assembly and then recheck. 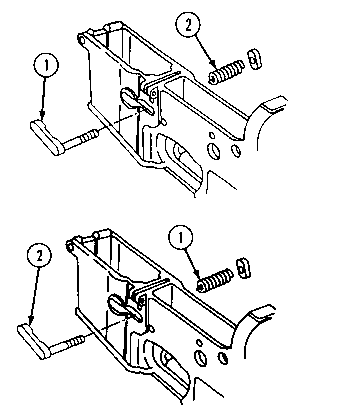 if headspace is not corrected, replace barrel assembly; then recheck with the original bolt to determine if the bolt is still good or if the bolt should be replaced also.